The term "all-purpose seasoning" has always seemed slightly hyperbolic to me. Unless we're talking about salt, there are few seasonings that truly enhance everything they touch, but shio koji comes close. Some things, like love or a delicious shrimp base, can't be hurried, but a lot of things can be approximated. 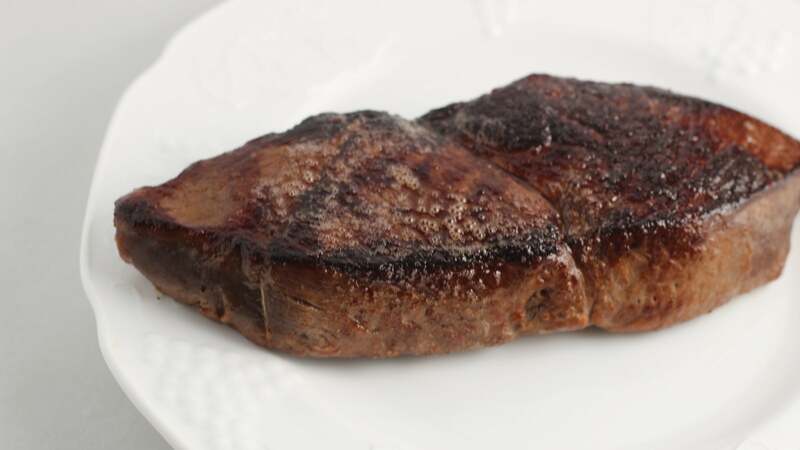 Though there is no substitute for a true dry-aged steak, there are two ingredients that food geeks swear help you get pretty close. koji and fish sauce. If koji sounds familiar, it's because we've used the inoculated, fuzzy rice to fake age some steaks to excellent results. When mixed with salt and plain water and allowed to sit around, that same rice ferments and becomes shio koji (or "salt koji"), a traditional miso-esque Japanese paste that coaxes out flavour, tenderises, encourages browning, and adds a sweet, savoury depth to all sorts of foods. 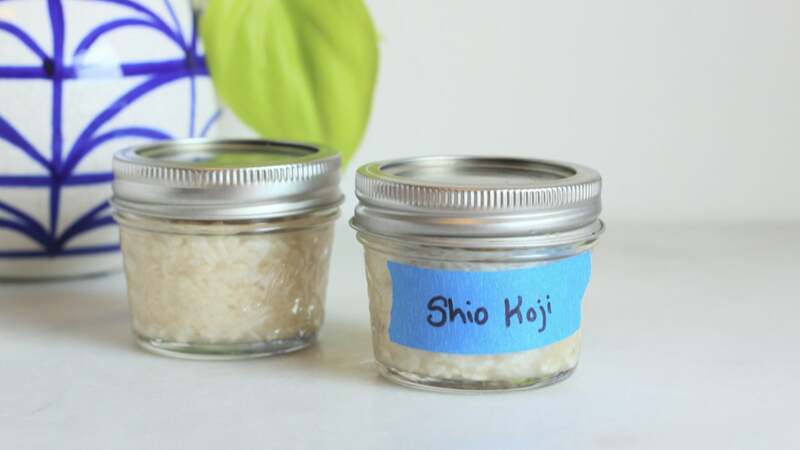 You can find shio koji in some stores, but it's usually kind of pricey, and it's very easy to make at home. You'll just need some koji rice, sea salt and water. 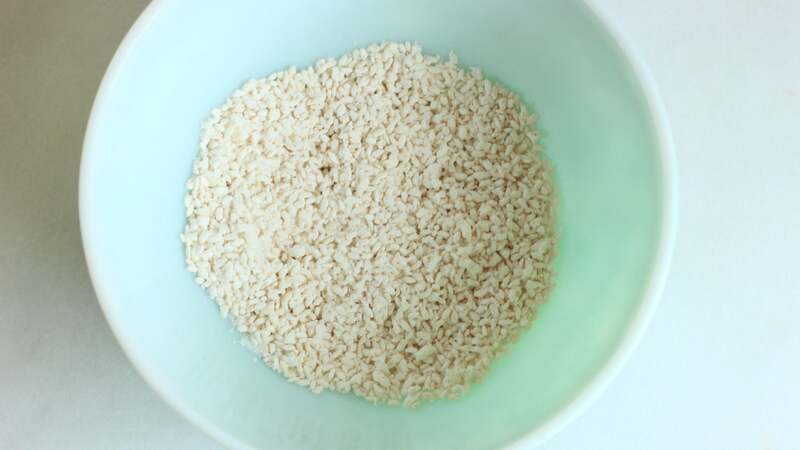 You can make as little or as much as you want, just aim for a ratio of four parts rice to one part salt and four parts water. Our lie-ageing experiment had left me with 90g of koji rice, which produced about 240ml of this miraculous paste. First, dump the pleasantly mouldy rice in a big bowl, and crumble it up with your hands. Once it becomes fragrant - mine smelled like popcorn - mix in the salt and rub it all together. Pour the water in and smash it around with your hands some more, adding a bit more water if needed, until all of the rice is wet. Transfer it to a few sterilised jars - just dunk 'em in boiling water - and loosely screw on the lids. Let the paste hang out at room temperature for a week or so (aim for two weeks if your house is very cold), giving the koji a stir once a day. Once it's nice and funky, you're ready to stir it in and smear it on all sorts of tasty treats. A couple of tablespoons mixed with a glug of olive oil (and maybe a squeeze of citrus) makes for a fantastic vegetable marinade, and smearing it all over a whole chicken (and letting it tenderise overnight) results in a deeply flavourful bird with golden, crispy skin. Want a quick pickle? Mix a couple of tablespoons (and a dash of dashi if you have it) with pretty much any vegetable, and let them sit for at least 15 minutes or overnight; the longer you wait, the funkier your pickle will be.